The Summer of 2018 has been amazingly warm and dry. 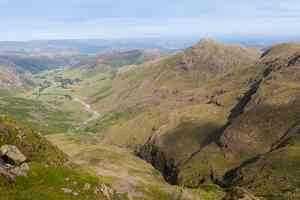 This weekend was hence used to explore Langdale, and the culmination of our trip was Jack's Rake, arguably the best known simple scrambling route in England. It has somehow excaped from our itineraries so far. 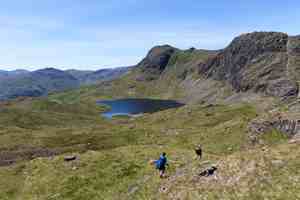 Our first destination however was Pike of Blisco. The blue and red lines show our track in the first and second days. The "P" icon shows parking spot, and the tent shows the place where we camped overnight. Approaching Ñrinkle Gill, our first scramble of the trip. 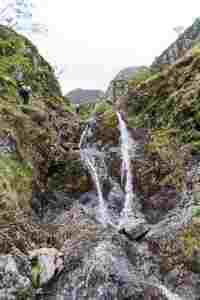 Waterfalls in Ñrinkle Gill. We were surprised to realise that we have already scrambled here! And we naively thought that we found a new scramble. Our memory is not as good as it used to be... We will have to start checking our past GPS tracks when planning new trips to avoid such embarrassment in the future. A fallen rock makes a little tunnel. Everybody now remembers how we went through it a year ago. 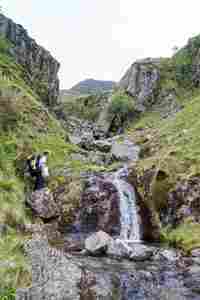 Crinkle Gill from above. 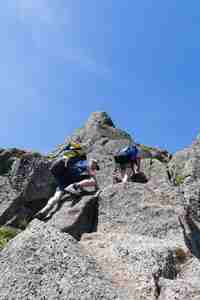 Our next objective was to scramble up Crinkle Crags. Last year we did not do this scramble. The hill on the right is Pike of Blisco. Preparing camping spot not far from a path on top of Rossett Crag. 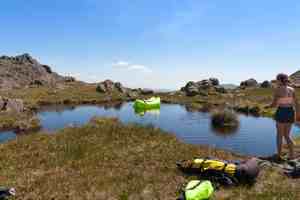 There is a little tarn near the path, but we pitched our tent further down, so as not to be visible from the path. The camping spot boasts a superb view of Mickleden. The tarn by the path. A little later another couple pitched their tent here. 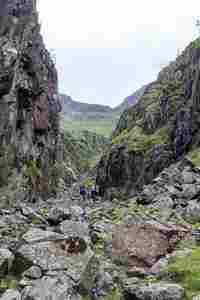 Approaching Jack's Rake which goes up Pavey Ark. Hover the mouse over the picture to see the line of ascent. 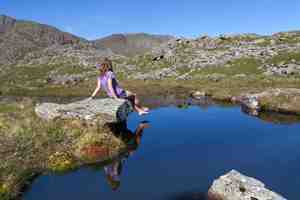 Harrison Stickle is directly behind Stickle Tarn. 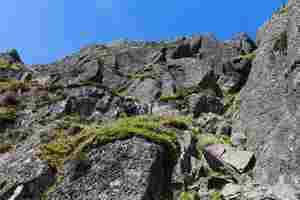 Going up Pavey Ark, Jack's Rake is conquered. Last few steps. The scramble turned out to be much simpler than we thought. 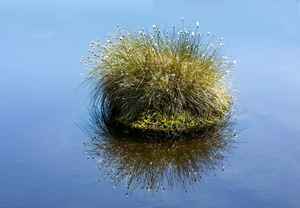 A little tarn on Pavey Ark. A perfect spot for sunbathing and a lunch break. Our ultralight lazy bed makes a decent kayak. 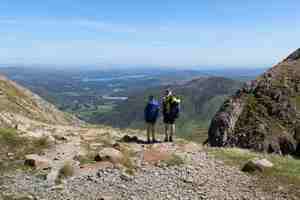 We went round Harrison Stickle searching for another scramble (sout-east ridge). 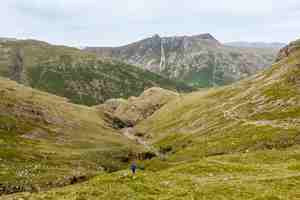 We did not find it (we should have continued further east) and just scrambled up an even steeper little ravine. 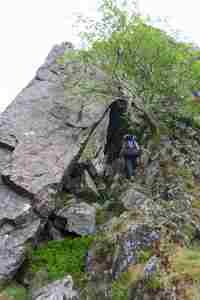 Scrambling was poor: some steep grassy slope and not much high-quality rock. Dungeon Ghyll. 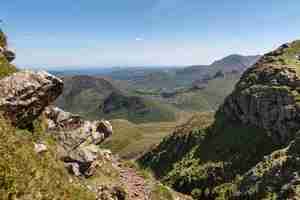 The path goes around Harrison Stickle. 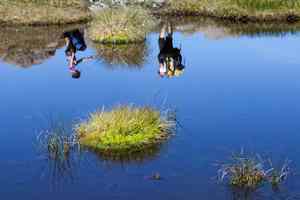 We descended to Stickle Tarn and went for a swim. There weather was very hot, so the water felt very cold and refreshing. 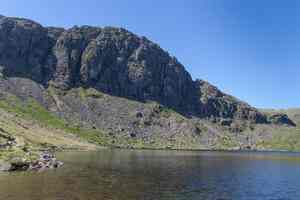 Pavey Ark and Jack's Rake from the tarn, hover the mouse over the picture to see the line of ascent. To get to our car, we had to descend further into the valley and then walk up. Langdale is one of the most picturesque places in the Lake District. We had great time hiking and scrambling this weekend.